Ken Levine, creator of the Bioshock franchise, has been attributed with the quote “the world is the best narrator” when it comes to video games – a sentiment that was most recently reiterated by Hidetaka Miyazaki, who stated over Twitter that “the greatest tool for narrative is the world you create for it to exist in. A well designed world could tell its story in silence.” With Levine's latest, Infinite, audiences have been split over the narrative of the game: most agree that the story is fantastic, but division exists over how well that particular story is told. With this in mind, it is an apt time to revisit indie game Dear Esther, which has recently been released for Linux, and stands as a bastion of interactive environmental storytelling. An experience which takes you through themes of catharsis, closure, and loneliness in approximately two hours, with little more than a desolate Hebridean island and a deluded narrator to weave the story together, Dear Esther explores boundaries in plot delivery, gameplay, and even what it means to be a 'video game'. The game started as an experiment by indie studio, The Chinese Room, before evolving under the hand of former DICE employee Robert Briscoe. Dear Esther lacks almost any recognisable video game tropes from health-bars, to items of any kind, or even death in the traditional video game sense. In fact, the closest the player will come to dying throughout the game are a couple of narrow mountain paths, and venturing too far out to sea during exploration, at which points the game will promptly transport the protagonist back to a few seconds before death. This is a game that doesn't want you to die – it wants you to experience it. And a sensational experience it is too. The game plays out over four areas, with one goal of reaching a radio-mast that is visible in the distance from the very start. During progression, objects and images are scattered across the areas which relate to the narrator's backstory and his reason for being on this island. These are pieced together by short inclusions and passages from the narrator as the island is explored, based on what's been discovered. The voice acting deserves applause of its own – the monologues are powerful and emotionally evocative, creating, as with the rest of the game, a sense of poignancy whilst never feeling contrived. The game is set on a linear path, but is laden with extras and hidden treats for the explorer. Every sight in this game adds to the overarching narrative, and relates in some way. Those who stray from the path will find extra bricks to use in building the story – a tale which is never truly revealed to you, and thus every chance to explore should be taken. Unravelling this tale of misery avoids the tokenistic explorative elements of other games. The game never feels like a collect 'em up – something which even those more narrative driven linear experiences suffer from, such as the aforementioned Bioshock series. If anything, one of my few complaints is that I would have liked more – more side-paths, more caves, and more exploration. And explore you'll want to. The island is one of the most hauntingly beautiful settings I've ever experienced in a video game. The decade old Source Engine proves that it is far from obsolete, as it commits itself fully to the task of rendering this visually distinct island into existence. Decrepit buildings stand strong against the emptiness of the landscape, filled with signs of a time gone by. Foliage sways dutifully in response to the winds rushing over the landscape. Waves crash up against distance rocks in their failed effort to reach the shoreline. Caves, littered with stalactites and stalagmites, glisten from the trickles of water running down their walls. And, through the clouds and fog, the ominous radio-mast stands beckoning the player with brief flashes from its red signal light. Of course, this would do nothing for immersion were it not for the stellar sound design. I have already touched upon the voice acting, but this is just the icing on the audible cake. The harsh coastal weather adds to the melancholic tone of the overall game, whistling past the player's ears with little opportunity for shelter. The soundtrack by Jessica Curry does not directly influence the game or the player, instead serving to echo the scenery and solitude of the setting. As such, its place is close to perfect, with only rare instances where it feels intrusive. 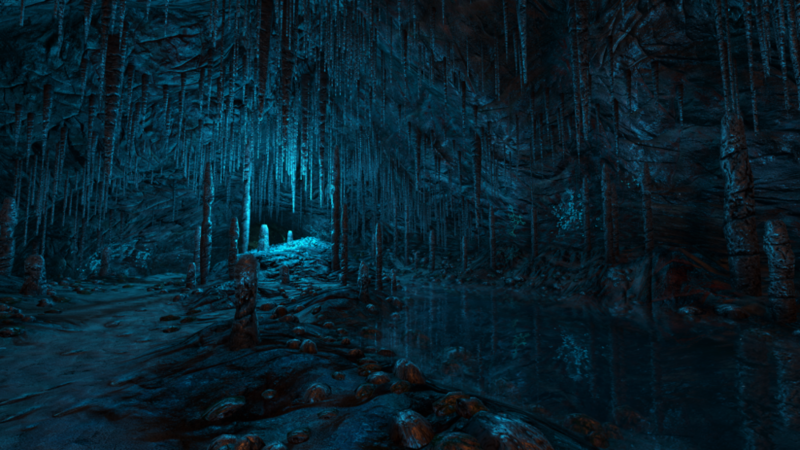 At only two hours long, it is easy to praise Dear Esther. The game never outstays its welcome. It is a game with very little 'gameplay' at all. It requires no skills to play through, besides your ability to ascertain the plot from what you're provided. And whilst replay value is there (the narration changes, as do objects and certain scenes, with each play through), the game almost doesn't give you enough time for annoyances and cracks to appear. Yet I can't help feeling that The Chinese Room have done more for gaming than most AAA games that I've experienced recently. This is a game I'd be happy to show my grandparents – avid anti-gamers since the day I first brought a Game Boy to their house at the age of six. They would gain as much from this experience as I did. Whilst I'm not advocating gaming as a discipline for everyone, Dear Esther proves that gaming is a powerful art-form and storytelling device. A game that deserves every second of the two hours it'll take to play through it – each of those seconds drenched in beauty and meaning. The narration by Dear Esther's world is a pinnacle point of video gaming, and one that Ken Levine and his ilk should notice. Bioshock Infinite may have been ten times the length of Dear Esther, but Dear Esther had less than 0.03% of the budget of Infinite's $200 million, and I'm struggling to decide which gave me the most richly realised world out of the two – although I know which my grandparents would choose. As it stands now, The Chinese Room are developing the sequel to Amnesia: The Dark Descent, entitled Amnesia: A Machine for Pigs, which will be available later this year. Dear Esther has served as a great warm-up for this, and I eagerly await to see what the team manage to achieve with Amnesia's horrific world. In the meantime, pick up Dear Esther and let me know what your granny thinks of it.